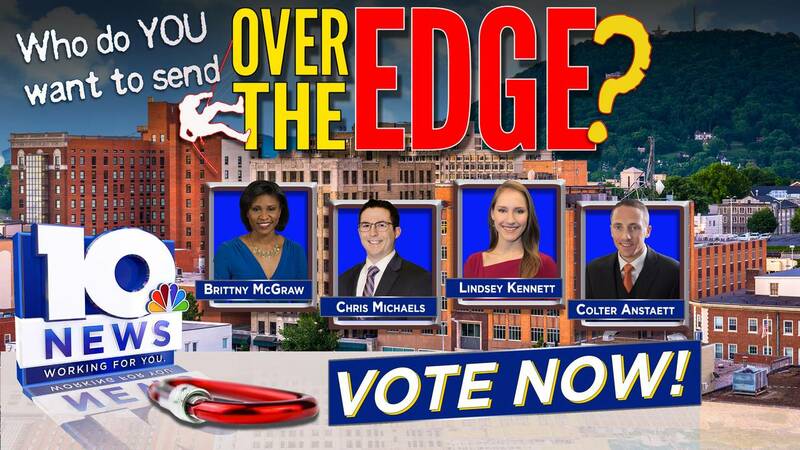 ROANOKE, Va. - You can vote to send a member of the 10 News team Over the Edge this May. Brittny McGraw, Chris Michaels, Lindsey Kennett and Colter Anstaett are on this year's ballot. Over the Edge is a fundraiser for Big Brothers Big Sisters of Southwest Virginia where people rappel down the Roanoke Higher Education Center in downtown. The money raised from the event will help carry out the work of matching children with caring adult mentors and providing ongoing support to the child, volunteer mentor and child's family.